Richland Hills is a quaint small town located in Tarrant County and is surrounded by many bustling suburbs of the Dallas Fort Worth Metroplex. Made up of unique shopping, four parks, and conveniently located near the Trinity Railway Express commuter rail line. Three major highways pass through Richland Hills including Texas Freeway 121, 183 and 26, all providing quick and easy access to Dallas, Fort Worth and the many surrounding cities. Richland Hills offers a truly exceptional school district. Birdville ISD lives up to their vision of, “Excellence, Integrity and Service.” BISD serves 24,300 students from preschool to grade 12 and has a strong foundation in language arts, math, science and social studies. The district competes in 13 sports in the University Interscholastic League, Class 5A and 6A, within the state. Richland Hills is a city that takes pride in providing its residences with a quiet atmosphere without having to sacrifice convenience. 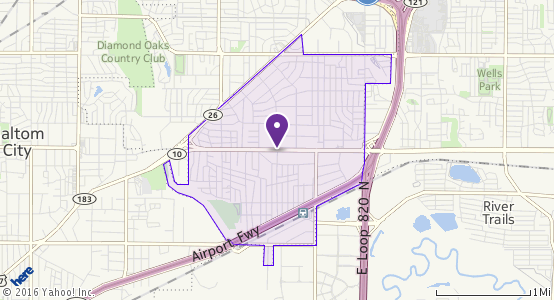 To learn more about Richland Hills, discover the websites below.